Belleville is a neighbourhood of Paris, France, parts of which lie in four different arrondissements. 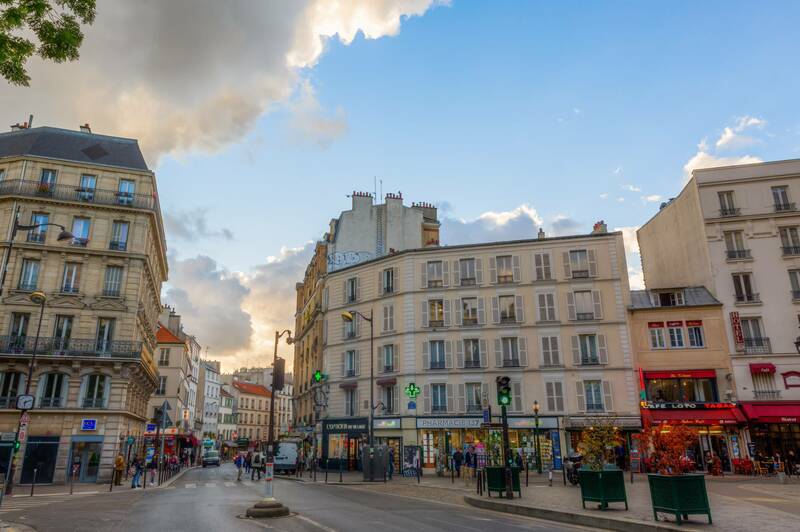 The major portion of Belleville straddles the borderline between the 20th arrondissement and the 19th along its main street, the Rue de Belleville. The remainder lies in the 10th and 11th arrondissements. It was once the independent commune (municipality) of Belleville which was annexed by the City of Paris in 1860 and divided between two arrondissements. 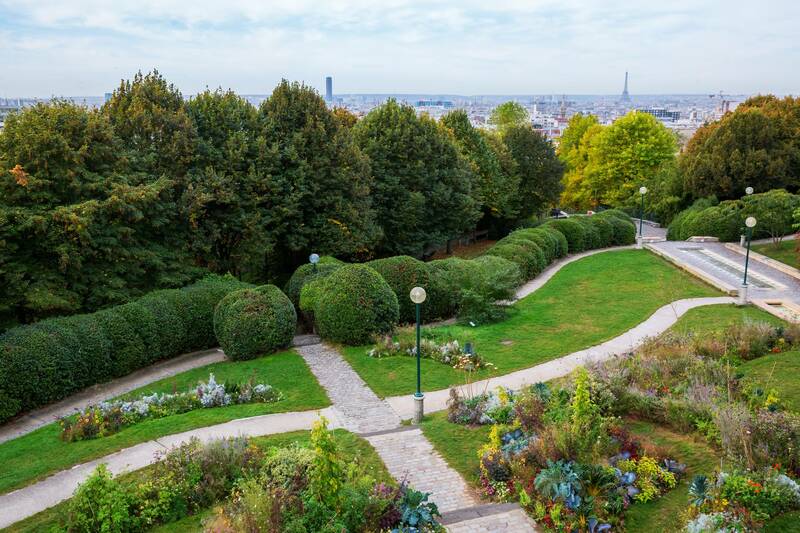 Geographically, the neighborhood is situated on and around a hill which vies with Montmartre as the highest in Paris. The name Belleville literally means "beautiful town". Today, Belleville is a colourful, multi-ethnic neighbourhood and also home to one of the city's two Chinatowns, the other located in the 13th arrondissement near the Place d'Italie. Since the 1980s, an important Chinese community has been established there. There are many restaurants and associations as well as stores offering Chinese products. A fairly large and popular outdoor market is held there every Tuesday and Friday along the Boulevard de Belleville, where many local Île-de-France farmers sell their produce. During the 1980s Parisian artists and musicians, attracted by the cheaper rents, the numerous vacant large spaces, as well as the old Paris charm of its smaller streets (Belleville was ignored, perhaps spared, during much of the architectural modernisation efforts and reparations of the 1960s and 1970s, the greatest exception being the area around the Place des Fêtes), started moving there. Many artists now live and work in Belleville and studios are scattered throughout the quartier. Some abandoned factories have been transformed into art squats, where several alternative artists and musicians, such as the band Les Rita Mitsouko began their careers. The demographics of the neighbourhood have undergone many changes throughout the decades. While Armenians, Greeks, and Ashkenazi Jews were once the predominant ethnic groups, North Africans, and more recently, sub-Saharan Africans have been displacing these others. Within the neighbourhood there is a cemetery and park, the Parc de Belleville, which ascends the western slope of the hill and offers, in addition to a panoramic view of the Paris skyline, a strikingly modern contrast to the classical gardens of the city centre and the eccentric nineteenth century romanticism of the nearby Parc des Buttes Chaumont. A School of Architecture is also located in Belleville. The iconic French singer Édith Piaf grew up there and, according to legend, was born under a lamppost on the steps of the Rue de Belleville. A commemorative plaque can be found at number 72. A true Bellevilloise, Piaf sang and spoke the French language in a way that epitomised the accent de Belleville, which has been compared to the Cockney accent of London, England, although the Parisian dialect is nowadays rarely heard. Belleville is prominently featured in the 2007 biographical film of her life, La Vie En Rose. Other famous Bellevillois include film director Maurice Tourneur, legendary French can-can dancer Jane Avril and popular singer and actor Eddy Mitchell. The filmmaker Maïwenn grew up in Belleville and lives there now.